There are many benefits to being a part of the military. That being said, when members of the United States Armed Forces go through the discharge process, the transitioning services offered by the various branches tend to be notoriously inadequate and disconnected from reality. While this is an issue of public concern, it does not help to place blame on the transitioning counselors or on the providers of veterans services. It is difficult to cover all bases insofar as guessing what situations veterans will find themselves in. The worst-case scenarios do not get the proper exposure that they should; to this effect, here are four issues that veterans may have to deal with after getting their DD-214 papers. Those reenlistment, deployment, and extension bonuses that were so generously given to military personnel after 2003 do not exist in civilian life. In 2018, the American economy is enjoying record employment levels, but quite a few of the jobs counted pay low wages and offer limited hours. Coming to the realization that wartime active duty service paid more than many civilian jobs can be hard to swallow. 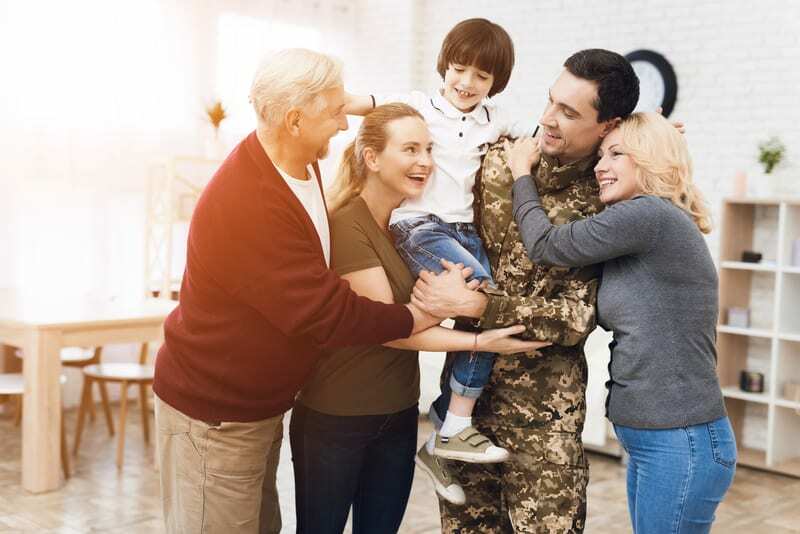 Many veterans get sticker shock when they return home and find that their housing markets have become outrageously expensive, particularly in metropolitan areas such as San Francisco, Miami, Boston, and New York. Thankfully, the VA home loan program has consistently given veterans a chance at getting reasonable housing at reasonable terms. Some state governments offer additional programs that can be combined with VA loans to make housing even more attractive. Society is changing at a very rapid pace, and many veterans are unable to deal with these changes because of what they went through. Many Vietnam veterans, for example, stopped going to their medical appointments when they saw young disabled veterans coming back from Iraq. In these particular cases, survivor’s guilt became an unbearable emotion. The state of the VA healthcare system has been in rapid decline since the Persian Gulf War ended in 1991. Many veterans are complaining about the poor quality of treatment as well as having to wait months for an appointment. Quite a few veterans have signed up for affordable Obamacare health plans to bridge the gap of inadequate treatment. In the end, life can be difficult for veterans, but it does not have to be. One of the best strategies consists of seeking the support of other veterans who are interested in helping their peers. Life is a lot easier when individuals surround themselves with the right people.